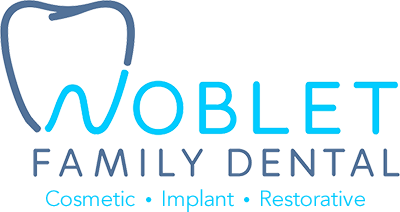 Here at Noblet Family Dental, we are dedicated to the treatment of TMJ. People who suffer from TMJ suffer a lot of jaw tension and pain. They often have headaches from grinding and clenching their jaws. Some believe they will never find anything to help because of how bad it can be. That is why we are dedicated to finding the best way to give TMJ sufferers some relief. We are constantly learning so that we can offer the latest advances in dental medicine to help end your suffering. BOTOX® has been known to give people relief from TMJ pain. We inject it into the facial muscles that are afflicted with soreness and discomfort. It helps with not only the pain but also the jaw tension. BOTOX® is very helpful for some of the other symptoms of TMJ. It is often very helpful for headaches, especially those caused by people grinding their teeth or clenching their jaws when they are stressed. It can also help with lockjaw too. Though BOTOX® is very new and considered experimental, it can be very helpful and may be your best option when it comes to TMJ pain. We can perform the procedure in our office and you should notice improvement within one or two days, though full effect may take up to a week. If you have any questions about BOTOX® or would like to talk to us about whether it might be a good option for you, don’t hesitate to contact us today at (251) 342-5323.